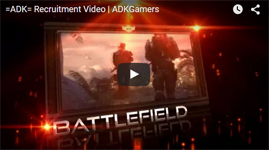 These are some of the OLD videos that we did in the past while were were playing BF4 . In some videos there is people that they are not here but we are still remember them . Enjoy and please leave a comment on which one you liked and i hope that we can all do like these videos cause they are fun . 1 - Flying in #1 with @Sikosis999 and @Crash and @Darknae 2 - Here we did fly with Amtrack . @Darknae and @Crash and me 3 - This one is one of my favorite , here me and @Darknae had a duel , who won ? watch and congrats the winner hehehehehehheheh 4 - This is a video i made long time ago contains some videos from the above and others , Some people as i said no longer here but we still love them 5 - Here @Darknae Trolling me lol 6 - @Darknae Trolling me again -_- hehehehhe 7 - He wont leave me alone , he just road killed me damn hehehhehe 8 - Here see Darknae super amazing shot and the laugh of @Sikosis999 and the sadness of @CAPS_Gaming which i don't think he is here anymore . 9 - Darkane and another funny video lol 10 - My favorite one , the karma it self came to me hehehehhe 11 - @b0nza1 No way out from @Darknae 12 - Darknae and @Zaizz hehehehhehe , darknae leave us alone damn ehehehehehehhehe 13 - Here no comment hehehhe This is all what i have , hope you guys liked them . What is the Craziest Video you have ever seen? Heck maybe put more then one. Let's have fun with Polish People! Hey, let's have fun with people from my country. On Polish Community we can find some really great and funny videos of people from Poland, from my beatiful country when "Kurwa!" (eng. F**k) or "Wódka" (eng. Vodka) are beatiful words for Polish People! Click HERE for see some "Polish Hits on Internet" from "lukas545" If you want watch more - Click HERE for playlist to all videos. So what the title says, do you guys watch any documentaries? Right now I've been watching some documentaries about other countries. The other night, I watched a video about Russian Prisons. Most recently I've been watching some videos about North Korea. One video was taken before the ban was lifted on cameras being allowed in North Korea. I think if a majority of people watched these types of videos they would realize how lucky they are compared to a majority of the rest of the world. It seems as though people take way too many things for granted. Even I feel that way and I say I'm lucky to be where I'm at. . even during what we might consider difficult times. Anyways let us know what type of documentaries you watch!